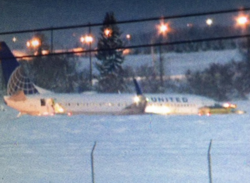 On the way for departure to runway 03 at Spokane, the 737 slid off the taxiway coming to rest in snow. There were no injuries among the 175 people on board. 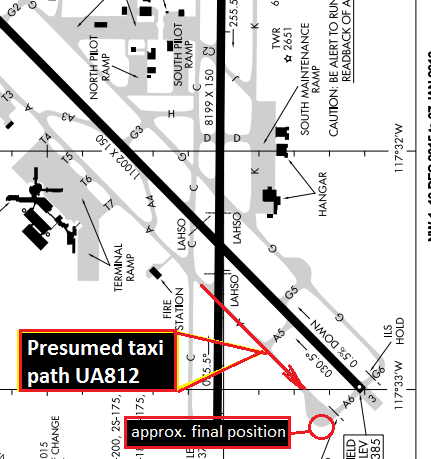 United flight 812 was taxiing out from the terminal to runway 03 in darkness via taxiway „Alpha“. 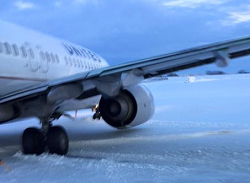 At the beginning of wider holding area at the end of the taxiway the 737 began to skid sideways for a few meters before it came to rest in snow. All on board deplaned via mobile airstairs. The airport remained closed until 08:45L. 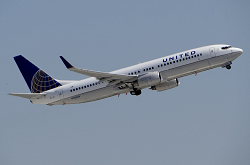 Damage to the aircraft remained apparently undamaged.